Macular pigments (MPs), by absorbing potentially toxic short-wavelength (400–500 nm) visible light, provide protection against photo-chemical damage thought to be relevant in the pathogenesis of age-related macular degeneration (AMD). A method of screening for low levels of MPs could be part of a prevention strategy for helping people to delay the onset of AMD. We introduce a new method for assessing MP density that takes advantage of the polarization-dependent absorption of blue light by MPs, which results in the entoptic phenomenon called Haidinger’s brushes (HB). Subjects were asked to identify the direction of rotation of HB when presented with a circular stimulus illuminated with an even intensity of polarized white light in which the electric field vector was rotating either clockwise or anti-clockwise. By reducing the degree of polarization of the stimulus light, a threshold for perceiving HB (degree of polarization threshold) was determined and correlated (r2=0.66) to macular pigment optical density assessed using dual-wavelength fundus autofluoresence. The speed and ease of measurement of degree of polarization threshold makes it well suited for large-scale screening of macular pigmentation. F. Khachik, G. R. Beecher, M. B. Goli, and W. R. Lusby, “Separation, identification, and quantification of carotenoids in fruits, vegetables and human plasma by high-performance liquid-chromatography,” Pure Appl. Chem. 63, 71–80 (1991). T. H. Margrain, M. Boulton, J. Marshall, and D. H. Sliney, “Do blue light filters confer protection against age-related macular degeneration?” Prog. Retinal Eye Res. 23, 523–531 (2004). J. M. Nolan, R. Power, J. Stringham, J. Dennison, J. Stack, D. Kelly, R. Moran, K. O. Akuffo, L. Corcoran, and S. Beatty, “Enrichment of macular pigment enhances contrast sensitivity in subjects free of retinal disease: central retinal enrichment supplementation trials–report 1,” Invest. Ophthalmol. Vis. Sci. 57, 3429–3439 (2016). C. M. Putman and C. J. Bassi, “Macular pigment spatial distribution effects on glare disability,” J. Optom. 8, 258–265 (2015). J. M. Stringham, E. R. Bovier, J. C. Wong, and B. R. Hammond, “The influence of dietary lutein and zeaxanthin on visual performance,” J. Food Sci. 75, R24–R29 (2010). J. M. Stringham and B. R. Hammond, “The glare hypothesis of macular pigment function,” Optom. Vis. Sci. 84, 859–864 (2007). 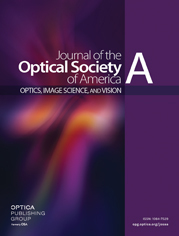 V. M. Reading and R. A. Weale, “Macular pigment and chromatic aberration,” J. Opt. Soc. Am. 64, 231–234 (1974). F. Khachik, P. S. Bernstein, and D. L. Garland, “Identification of lutein and zeaxanthin oxidation products in human and monkey retinas,” Invest. Ophthalmol. Vis. Sci. 38, 1802–1811 (1997). B. R. Hammond, B. R. Wooten, and J. Curran-Celentano, “Carotenoids in the retina and lens: possible acute and chronic effects on human visual performance,” Arch. Biochem. Biophys. 385, 41–46 (2001). M. Boulton, M. Rozanowska, and B. Rozanowski, “Retinal photodamage,” J. Photochem. Photobiol. B 64, 144–161 (2001). D. M. Snodderly, J. D. Auran, and F. C. Delori, “The macular pigment II. Spatial distribution in primate retinas,” Invest. Ophthalmol. Vis. Sci. 25, 674–685 (1984). E. Arnault, C. Barrau, C. Nanteau, P. Gondouin, K. Bigot, F. Vienot, E. Gutman, V. Fontaine, T. Villette, D. Cohen-Tannoudji, J. A. Sahel, and S. Picaud, “Phototoxic action spectrum on a retinal pigment epithelium model of age-related macular degeneration exposed to sunlight normalized conditions,” PLoS ONE 8, e71398 (2013). N. K. Scripsema, D. N. Hu, and R. B. Rosen, “Lutein, zeaxanthin, and meso-zeaxanthin in the clinical management of eye disease,” J. Ophthalmol. 2015, 865179 (2015). R. A. Bone, J. T. Landrum, S. T. Mayne, C. M. Gomez, S. E. Tibor, and E. E. Twaroska, “Macular pigment in donor eyes with and without AMD: a case-control study,” Invest. Ophthalmol. Vis. Sci. 42, 235–240(2001). J. Wu, E. Y. Cho, W. C. Willett, S. M. Sastry, and D. A. Schaumberg, “Intakes of lutein, zeaxanthin, and other carotenoids and age-related macular degeneration during 2 decades of prospective follow-up,” JAMA Ophthalmol. 133, 1415–1424 (2015). A. Ozyurt, N. Kocak, P. Akan, O. G. Calan, T. Ozturk, M. Kaya, E. Karahan, and S. Kaynak, “Comparison of macular pigment optical density in patients with dry and wet age-related macular degeneration,” Indian J. Ophthalmol. 65, 477–481 (2017). M. Trieschmann, G. Spital, A. Lommatzsch, E. van Kuijk, F. Fitzke, A. C. Bird, and D. Pauleikhoff, “Macular pigment: quantitative analysis on autofluorescence images,” Graefe’s Arch. Clin. Exp. Ophthalmol. 241, 1006–1012 (2003). S. Beatty, I. J. Murray, D. B. Henson, D. Carden, H. H. Koh, and M. E. Boulton, “Macular pigment and risk for age-related macular degeneration in subjects from a Northern European population,” Invest. Ophthalmol. Vis. Sci. 42, 439–446 (2001). P. S. Bernstein, D. Y. Zhao, S. W. Wintch, I. V. Ermakov, R. W. McClane, and W. Gellermann, “Resonance Raman measurement of macular carotenoids in normal subjects and in age-related macular degeneration patients,” Ophthalmology 109, 1780–1787 (2002). S. K. West, F. S. Rosenthal, N. M. Bressler, S. B. Bressler, B. Munoz, S. L. Fine, and H. R. Taylor, “Exposure to sunlight and other risk-factors for age-related macular degeneration,” Arch. Ophthalmol. 107, 875–879 (1989). W. Smith, P. Mitchell, and S. R. Leeder, “Smoking and age-related maculopathy: The blue mountains eye study,” Arch. Ophthalmol. 114, 1518–1523 (1996). M. K. M. Adams, J. A. Simpson, K. Z. Aung, G. A. Makeyeva, G. G. Giles, D. R. English, J. Hopper, R. H. Guymer, P. N. Baird, and L. D. Robman, “Abdominal obesity and age-related macular degeneration,” Am. J. Epidemiol. 173, 1246–1255 (2011). E. J. Johnson, “Obesity, lutein metabolism, and age-related macular degeneration: a web of connections,” Nutr. Rev. 63, 9–15 (2005). O. Howells, F. Eperjesi, and H. Bartlett, “Measuring macular pigment optical density in vivo: a review of techniques,” Graefe’s Arch. Clin. Exp. Ophthalmol. 249, 315–347 (2011). S. E. Temple, J. E. McGregor, C. Miles, L. Graham, J. Miller, J. Buck, N. E. Scott-Samuel, and N. W. Roberts, “Perceiving polarization with the naked eye: characterization of human polarization sensitivity,” Proc. R. Soc. B 282, 20150338 (2015). R. A. Bone and J. T. Landrum, “Dichroism of lutein: a possible basis for Haidinger’s brushes,” Appl. Opt. 22, 775–776 (1983). J. McGregor, S. Temple, and G. Horvath, “Human polarization sensitivity,” in Polarized Light and Polarization Vision in Animal Sciences, G. Horvath, ed., 2nd ed. (Springer-Verlag, 2014), pp. 303–315. G. P. Misson, S. E. Temple, and S. J. Anderson, “Computational simulation of Haidinger’s brushes,” J. Opt. Soc. Am. A 35, 946–952 (2018). G. P. Misson, “Form and behavior of Haidinger’s brushes,” Ophthal. Physiol. Opt. 13, 392–396 (1993). G. P. Misson, “A Mueller matrix model of Haidinger’s brushes,” Ophthal. Physiol. Opt. 23, 441–447 (2003). M. Rothmayer, W. Dultz, E. Frins, Q. Zhan, D. Tierney, and H. Schmitzer, “Nonlinearity in the rotational dynamics of Haidinger’s brushes,” Appl. Opt. 46, 7244–7251 (2007). W. Grudzinski, L. Nierzwicki, R. Welc, E. Reszczynska, R. Luchowski, J. Czub, and W. I. Gruszecki, “Localization and orientation of xanthophylls in a lipid bilayer,” Sci. Rep. 7, 9619 (2017). R. A. Bone, “The role of the macular pigment in the detection of polarized light,” Vision Res. 20, 213–220 (1980). R. A. Bone and J. T. Landrum, “Macular pigment in Henle fiber membranes: a model for Haidinger’s brushes,” Vision Res. 24, 103–108 (1984). H. W. Forster, “The clinical use of the Haidinger’s brushes phenomenon,” Am. J. Ophthalmol. 38, 661–665 (1954). E. Myrowitz, “Recent explanation of Haidinger brushes and their clinical use,” Am. J. Optom. Physiol. Opt. 56, 305–308 (1979). S. E. Temple, V. Pignatelli, T. Cook, M. J. How, T.-H. Chiou, N. W. Roberts, and N. J. Marshall, “High-resolution polarisation vision in a cuttlefish,” Curr. Biol. 22, R121–R122 (2012). V. Pignatelli, S. E. Temple, T. H. Chiou, N. W. Roberts, S. P. Collin, and N. J. Marshall, “Behavioural relevance of polarization sensitivity as a target detection mechanism in cephalopods and fishes,” Philos. Trans. R. Soc. London B 366, 734–741 (2011). W. K. Haidinger, “Über das direkte Erkennen des polarisierten Lichts und der Lage der Polarisationsebene,” Ann. Phys. 139, 29–39 (1844). S. Magnussen, L. Spillmann, F. Sturzel, and J. S. Werner, “Unveiling the foveal blue scotoma through an afterimage,” Vision Res. 44, 377–383 (2004). F. C. Delori, D. G. Goger, B. R. Hammond, D. M. Snodderly, and S. A. Burns, “Macular pigment density measured by autofluorescence spectrometry: comparison with reflectometry and heterochromatic flicker photometry,” J. Opt. Soc. Am. A 18, 1212–1230 (2001). P. L. Muller, S. Muller, M. Gliem, K. Kupper, F. G. Holz, W. M. Harmening, and P. C. Issa, “Perception of Haidinger brushes in macular disease depends on macular pigment density and visual acuity,” Invest. Ophthalmol. Vis. Sci. 57, 1448–1456 (2016). R. L. P. van der Veen, T. T. J. M. Berendschot, F. Hendrikse, D. Carden, M. Makridaki, and I. J. Murray, “A new desktop instrument for measuring macular pigment optical density based on a novel technique for setting flicker thresholds,” Ophthal. Physiol. Opt. 29, 127–137 (2009). D. M. Snodderly, J. A. Mares, B. R. Wooten, L. Oxton, M. Gruber, T. Ficek, and C. M. P. S. Grp, “Macular pigment measurement by heterochromatic flicker photometry in older subjects: the carotenoids and age-related eye disease study,” Invest. Ophthalmol. Vis. Sci. 45, 531–538 (2004). M. Sharifzadeh, P. S. Bernstein, and W. Gellermann, “Nonmydriatic fluorescence-based quantitative imaging of human macular pigment distributions,” J. Opt. Soc. Am. A 23, 2373–2387 (2006). A. G. Robson, J. D. Moreland, D. Pauleikhoff, T. Morrissey, G. E. Holder, F. W. Fitzke, A. C. Bird, and F. van Kuijk, “Macular pigment density and distribution: comparison of fundus autofluorescence with minimum motion photometry,” Vision Res. 43, 1765–1775 (2003). T. Berendschot and D. van Norren, “Macular pigment shows ringlike structures,” Invest. Ophthalmol. Vis. Sci. 47, 709–714 (2006). S. Alassane, C. Binquet, L. Arnould, O. Fleck, N. Acar, C. Delcourt, L. Bretillon, A. M. Bron, and C. Creuzot-Garcher, “Spatial distribution of macular pigment in an elderly French population: the Montrachet study,” Invest. Ophthalmol. Vis. Sci. 57, 4469–4475 (2016). R. O. Beirne, “The macular pigment optical density spatial profile and increasing age,” Graefe’s Arch. Clin. Exp. Ophthalmol. 252, 383–388 (2014). J. Loughman, G. Scanlon, J. M. Nolan, V. O’Dwyer, and S. Beatty, “An evaluation of a novel instrument for measuring macular pigment optical density: the MPS 9000,” Acta Ophthalmol. 90, e90–e97(2012). R. de Kinkelder, R. L. P. van der Veen, F. D. Verbaak, D. J. Faber, T. G. van Leeuwen, and T. Berendschot, “Macular pigment optical density measurements: evaluation of a device using heterochromatic flicker photometry,” Eye 25, 105–112 (2011). A. O’Brien, C. Leahy, and C. Dainty, “Imaging system to assess objectively the optical density of the macular pigment in vivo,” Appl. Opt. 52, 6201–6212 (2013). P. S. Bernstein, D. Y. Zhao, M. Sharifzadeh, I. V. Ermakov, and W. Gellermann, “Resonance Raman measurement of macular carotenoids in the living human eye,” Arch. Biochem. Biophys. 430, 163–169 (2004). J. L. Dennison, J. Stack, S. Beatty, and J. M. Nolan, “Concordance of macular pigment measurements obtained using customized heterochromatic flicker photometry, dual-wavelength autofluorescence, and single-wavelength reflectance,” Exp. Eye Res. 116, 190–198 (2013). H. Bartlett, L. Stainer, S. Singh, F. Eperjesi, and O. Howells, “Clinical evaluation of the MPS 9000 Macular Pigment Screener,” Br. J. Ophthalmol. 94, 753–756 (2010). G. Y. Sui, G. C. Liu, G. Y. Liu, Y. Y. Gao, Y. Deng, W. Y. Wang, S. H. Tong, and L. Wang, “Is sunlight exposure a risk factor for age-related macular degeneration? A systematic review and meta-analysis,” Br. J. Ophthalmol. 97, 389–394 (2013). W. T. Ham, H. A. Mueller, and D. H. Sliney, “Retinal sensitivity to damage from short wavelength light,” Nature 260, 153–155 (1976). W. T. Ham, J. J. Ruffolo, H. A. Mueller, A. M. Clarke, and M. E. Moon, “Histologic analysis of photochemical lesions produced in rhesus retina by short-wavelength light,” Invest. Ophthalmol. Vis. Sci. 17, 1029–1035 (1978). J. E. Roberts, “Ultraviolet radiation as a risk factor for cataract and macular degeneration,” Eye Contact Lens 37, 246–249 (2011). B. M. J. Merle, B. Buaud, J. F. Korobelnik, A. Bron, M. N. Delyfer, M. B. Rougier, H. Savel, C. Vaysse, C. Creuzot-Garcher, and C. Delcourt, “Plasma long-chain omega-3 polyunsaturated fatty acids and macular pigment in subjects with family history of age-related macular degeneration: the Limpia Study,” Acta Ophthalmol. 95, e763–e769 (2017). M. Dietzel, M. Zeimer, B. Heimes, B. Claes, D. Pauleikhoff, and H. W. Hense, “Determinants of macular pigment optical density and its relation to age-related maculopathy: results from the Muenster Aging and Retina Study (MARS),” Invest. Ophthalmol. Vis. Sci. 52, 3452–3457 (2011). J. M. Nolan, J. Stack, O. O. Donovan, E. Loane, and S. Beatty, “Risk factors for age-related maculopathy are associated with a relative lack of macular pigment,” Exp. Eye Res. 84, 61–74 (2007). B. R. Hammond and M. Caruso-Avery, “Macular pigment optical density in a southwestern sample,” Invest. Ophthalmol. Vis. Sci. 41, 1492–1497 (2000). M. L. Kirby, S. Beatty, J. Stack, M. Harrison, I. Greene, S. McBrinn, P. Carroll, and J. M. Nolan, “Changes in macular pigment optical density and serum concentrations of lutein and zeaxanthin in response to weight loss,” Br. J. Nutr. 105, 1036–1046 (2011). E. A. Boettner and J. R. Wolter, “Transmission of the ocular media,” Invest. Ophthalmol. Vis. Sci. 1, 776–783 (1962). Grp, C. M. P. S.
van der Veen, R. L. P.
» Visualization 1 Representation of the perception of Haidinger’s brushes as observed under white linearly polarized light rotating clockwise. Fig. 1. Schematic description of how the orientation of macular pigments leads to the perception of the Haidinger’s brushes phenomenon. Average orientation of (a) macular pigment molecules in the cell membrane is normal to the surface of the lipid bilayer . This orientation leads to macular pigments being oriented radially relative to (b) the cylindrical shape of the axons of the photoreceptors in the Henle fiber layer, made more apparent by (c) and (d) the removal of the lipid bi- layer. The average alignment of the macular pigments is therefore at right angles to the axon when observed side-on (d), resulting in a net orientation (e) perpendicular to the long axis of the axons (f) that radiate out from the center of the fovea. The absorption of polarized light with (g) its electric field vector oriented vertically by the short- wavelength absorbing and diattenuating macula will be maximum in areas of the macula where the MPs are aligned with the orientation of the electric field vector (minimum transmittance = k2). And absorp- tion will be minimum in areas of the macula where the MPs are aligned perpendicularly with the orientation of the electric field vector (maximum transmittance = k1). This pattern of absorption results in (h) a yellow shadow on the retina in the shape of a bowtie or hour-glass known as Haidinger’s brushes that rotates when the electric field vector rotates (see Visualization 1). Fig. 2. Schematic diagram of the optical components for the degree of polarization threshold testing device. (a) A custom-built LED panel produces white light that is polarized by a (b) rotatable linear polarizing filter before being transmitted through (c) a custom-made degree of polarization (DoP) filter. (d) A series of apertures reduce the path of light to a narrow angle to stop light reflected from flat surfaces reaching the subject’s eye. (e) A second LED panel identical to (a) is used to diffusely illuminate the viewing tube. Different DoP values can be presented by rotating through (f) a series of filters mounted in a carousel. (g) Stepper motors drive the rotation of both the polarizer and the carousel. Fig. 3. Frequency histogram of time taken for degree of polarization threshold measurements in clinical settings using the single-descending-pass approach. Four optometrists used our device in their practices and measured the degree of polarization threshold on their patients (n=168). Mean time to acquire a measure of degree of polarization threshold was 53 s (range 16–218 s). Fig. 4. Distribution of the degree of polarization threshold values for 168 patients measured in four optometry practices during regular eye exams. Fig. 5. Bland Altman plots for the (a) descending-only method of limits approach and (b) the single-descent approach, showing the difference in test-retest degree of polarization threshold values versus the average of the two degree of polarization threshold values. In both cases (a) and (b), the mean difference (dashed line) was zero, indicating no consistent change in score between the test and retest. The limits of agreement (solid horizontal lines) indicate the 95% confidence intervals. Fig. 6. Correlation between macular pigment optical density (MPOD) measured as volume by dual-wavelength fundus autofluorescence (2WAF) and degree of polarization threshold measured using (a) the binomial forced-choice approach (r2=0.43) and (b) the descending-only method of limits approach (r2=0.62). The model was fit with nonlinear least-squares regression. Fig. 7. Theoretical model to predict degree of polarization threshold (TDoP) relative to the density of macular pigment MPD in the macula as per Eq. (1), where k2 was set to 0.91, ΔI was 0.2, and the scaling constant μ was set to 0.0017. Note that MPD has been given arbitrary units as there are numerous measures of MPOD and the relationship is predicted to apply to any such comparison provided the measure of MPD reflects the total amount of pigment in the macula. Fig. 8. Difference in total macular pigment (volume) for two individuals with similar macular pigment optical density values at eccentricities below 0.5°. Measurements made using dual-wavelength autofluorescence. Fig. 9. Absolute spectral radiance of the stimulus and background LED. Measured with a USB 2000 spectroradiometer (Ocean Optics, California). Note that the stimulus LED was powered at half power, and this measurement was made at full power.